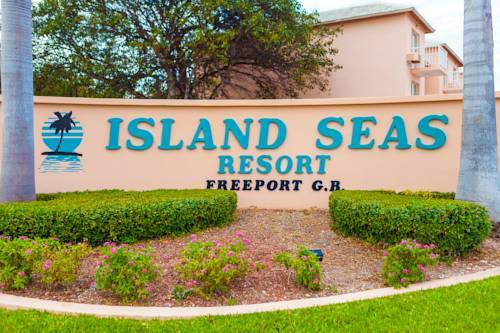 Situated around a beautiful courtyard right on the clear, blue waters of Grand Bahama Island, Island Seas Resort guest rooms elegant and luxurious. 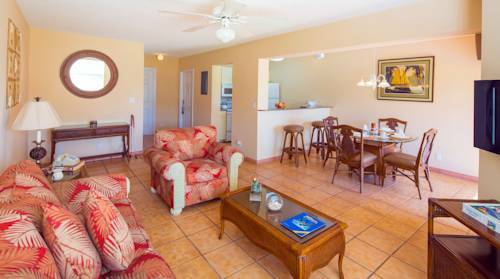 Each spacious, fully-furnished one or two bedroom suites features an island decor, a living room with a pull-out sleeper sofa, and a full kitchen. 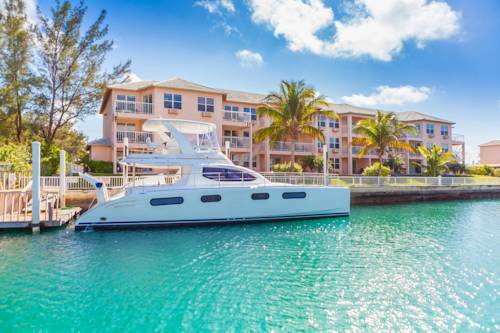 Balconies overlook the marina, courtyard, ocean front or ocean views. 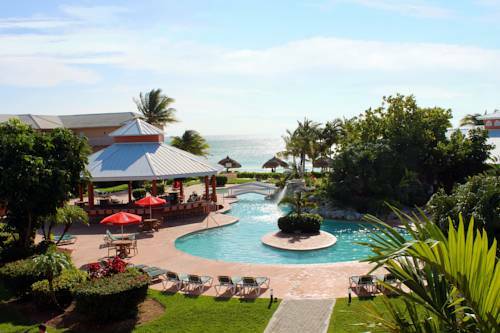 Guests have easy access to the resort’s on-site spa, a gourmet restaurant, a coffee shop, a free-form pool, a private beach, and a fitness center. 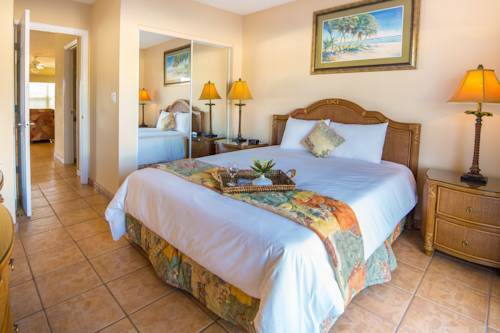 The three-story resort furnishes 168 spacious rooms with private balconies, full kitchens, free Wi-Fi, flat-panel TVs, DVD players and sofa beds. 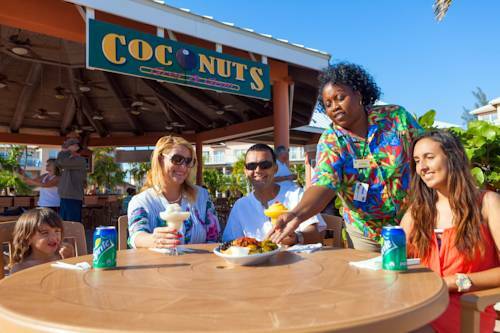 Breakfast and dinner are served in the on-site restaurants. Guests can also sip on a refreshing cocktail by the pool. Make your way to the sports courts and 24-hour fitness room. 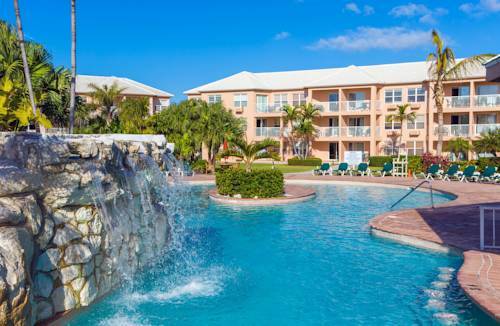 The outdoor pool, hot tub and spa are just the ticket for cooling down. Emerald Golf Course is just five-miles west of the hotel. 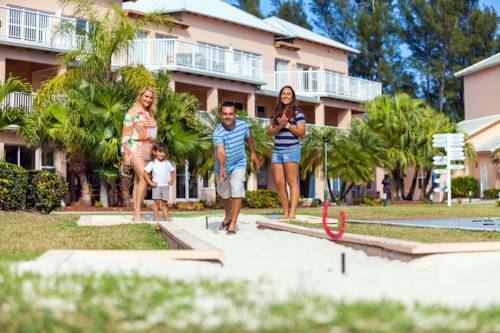 Guests can also rent bikes nearby or enjoy a round of golf at the Ocean Reef Yacht Club. Grand Bahama International Airport is five miles north.